The older she gets, the more pessimistic she feels. To writer Jill Mather, there’s no cure for humans’ lack of respect for animals. And so since her retirement, it’s been her mission to record their stories. Specifically, those that perished in war. Eight million animals died in the Great War. They carried soldiers and supplies, delivered messages, were shot at and killed. Six million alone were horses, about as many as the allies’ military casualties. The difference is, as Ms Mather says, the horses didn’t volunteer. She talks about how she had to give up her horse after she contracted polio at the age of 16. There’s a silence, and then she says: “I never really recovered”. Looking out the window at Yarramalong Valley on New South Wales’ Central Coast where she lives, she can see horse and goat paddocks. 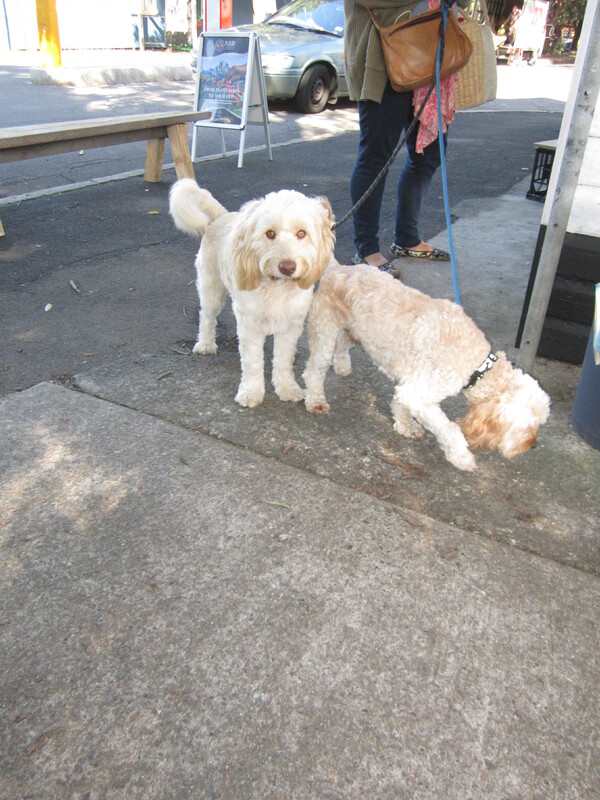 The animals seem fine despite the day being one of those stormy rainy days on the east coast of New South Wales . Her love for animals and knowledge of the horse has driven her work. 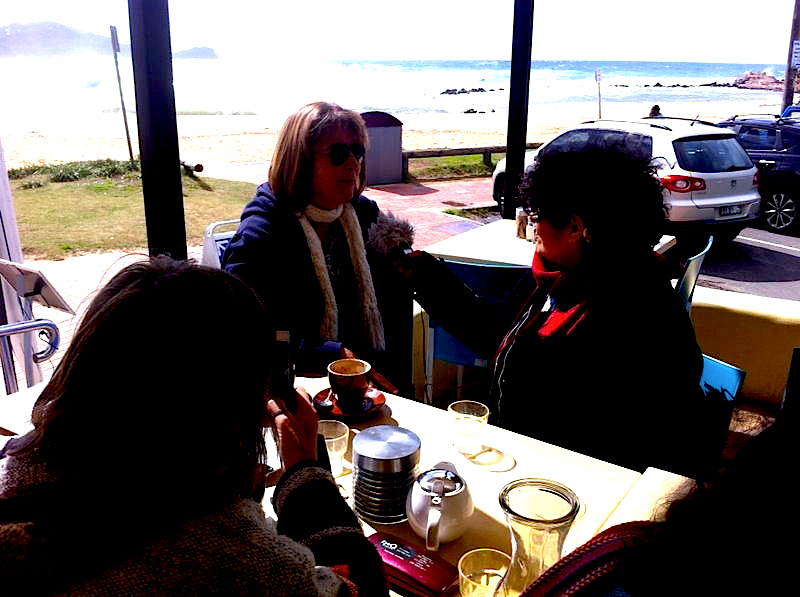 The former journalist and teacher has written five books including Forgotten Heroes, about the Australian Waler in WW1. Walers are mixed breed horses bred for outback conditions. They are evenly tempered animals, reliable in tough environments. “ We have a special affinity with horses,” she says. ”Let’s take the light horsemen who were on patrol in the Sinai for example. 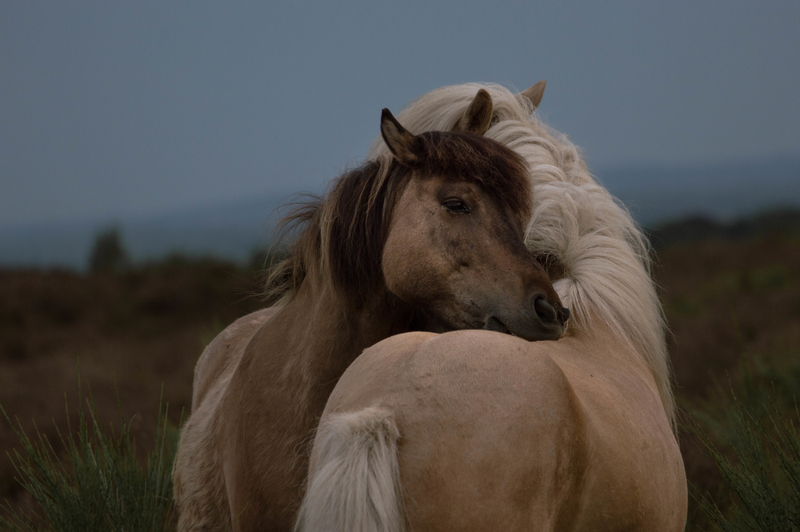 If those horses made a noise or snorted, or stamped, or called for a mate, they could reveal their position. So when a trooper put his hand on his neck, that horse knew to freeze. Through the complex history of WW1, the fall of empires, battles won and lost, the horse remains on the fringes. Looking for their story has highlighted the “profiteering” of war for Alex McInnis, media and communications officer at the Addison Road Community Centre in Marrickville. 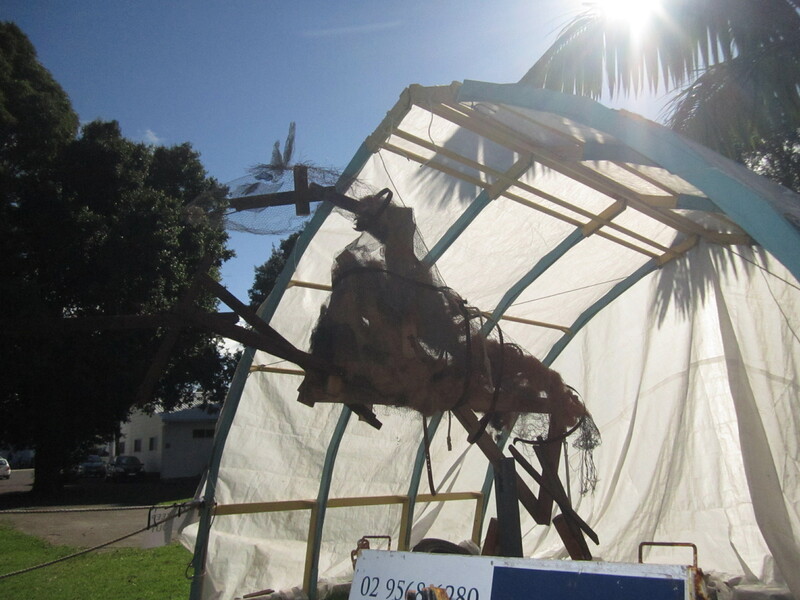 She sees evidence of that in the Australian Government’s refusal to bring home horses sent to war. 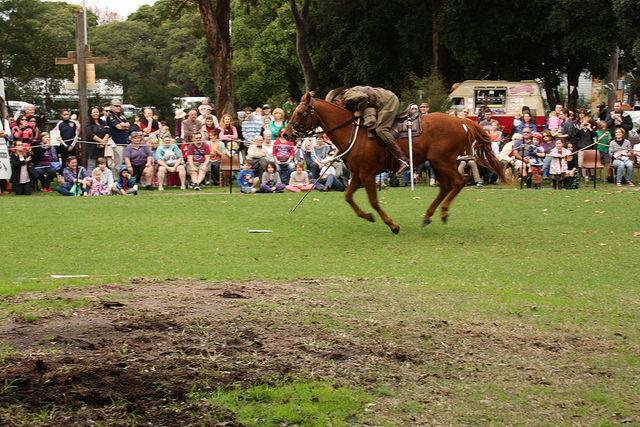 Horses of the Australian Light Horse Association at Tails From the Past , Addison Rd Community Centre. Photo with permission by Addison Rd Community Centre. The Australian War Memorial records 136,000 horses being sent from Australia to France, India, the Western Front and the Middle East with the troops. At the end of the war, most horses were sold to European countries, and to India, then a British colony. Only one horse, Sandy, came home. The old military barracks at Marrickville’s Addison Road Community Centre has been a space for multicultural services and alternative groups since the 1970s. In this small Inner West suburb, there’s a big history. The nine-acre site was the army’s major centre for enlistment in almost every conflict in the 20th century according to Sue Castrique, the Centre’s historian. Young conscripts were sent from there for training before going to Vietnam and it was there where the Save Our Sons (SOS) movement protested against the war with its silent vigils. But, it was not always about war. In its early days, the Centre was about the horses and the community. Rosy Porter, Program Co-ordinator at the Centre, is mindful of the layers of history. She, along with colleagues and volunteers helped to mark the site’s history and the Australian Centenary with an event about horses—Tails from the Past. But once the site became a community centre, political attitudes changed. Sue Castrique, says the organisation’s outlook was the direct opposite to the “whitewashed huts and strict military discipline”. But things have changed, and today, organisers of Tails From the Past stress they want to bring both sides of the Centre’s history together. The Addison Road Community Centre is busy with activity. 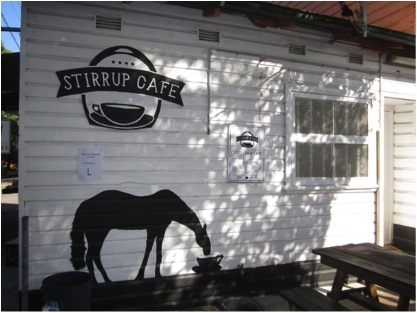 The black and white themed Stirrup Café is the first of the many huts on the site. Several community, arts and environmental organisations have made their home here. To the left, there’s a truck unloading old furniture for the Bower Centre —a recycling outfit that runs the Men’s Shed in Marrickville. And further down, is the Centre’s office. A strong theme of social justice runs through the posters and notices on the wall. Outside in the crisp sun, planes fly overhead, dogs run through the grounds highlighting the centre’s dog friendly policies, and children chatter as they make their way to another activity. People who went to the Tails from the Past event and whose views varied on the question of war had regarded the Centre as a safe space Ms Porter says. 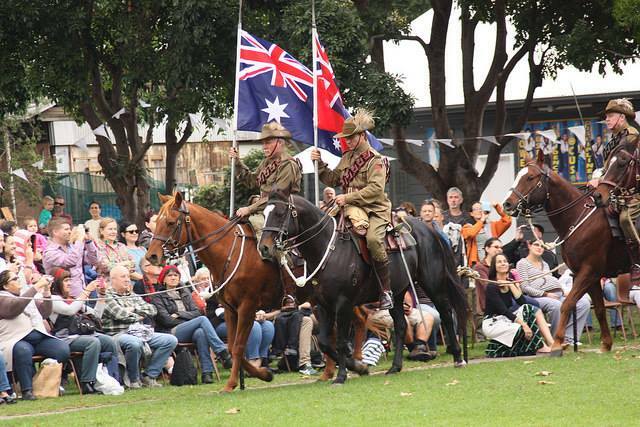 “We had the Gallipoli Centenary Peace Campaign inside the hall as one of the stalls …but we had the Light Horse Association [who] do the re-enactments. We had diggers coming back [who] remembered the site. We had family members of diggers who passed away, and they were some of our honorary guests. We had a mixture of people coming together on both sides of those two views,” she said. Phillip Chalker, president of the Australian Light Horse Association is easygoing and relaxed, having just bought some feed for his horses, and has pulled over into a car park for the interview. 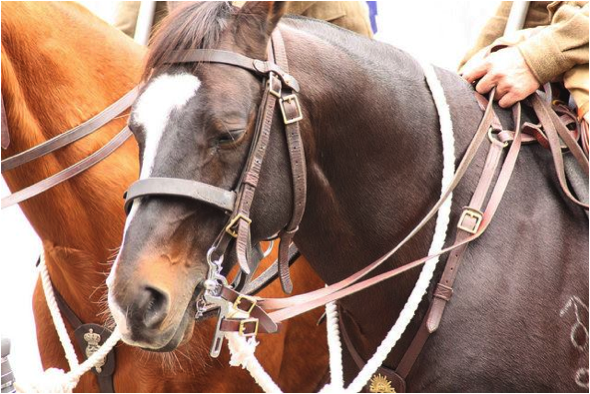 He is passionate about increasing awareness of the role the horse played in the Great War. “ When I went to school (1973), I don’t remember ever, hearing about the light horse. It was always about Gallipoli and the Western front, “ he says. “ There was more [that happened] in WW1 than Gallipoli and the Western front. We’re interested in educating and communicating with people about the role of the horse in the third front: Egypt, Palestine and Mesopotamia (Iraq).” And after about 20 years of talking to groups and making contact with the community, Mr Chalker feels things are changing. We owe more to animals than we know or remember as Jill Mather argues. Being forgotten by government after all they had meant–“the horses were all” she says–is to animal advocates, a terrible injustice of the war. Horses suffered extreme thirst and hunger, carried heavy weaponry, were shot at and wounded horribly. The Hughes Government’s decision in 1918 was a blow to many. “A lot of soldiers were prepared to pay for their horse. They would’ve paid anything to have got their mate back,” says Ms Mather. But the soldiers had no power to influence a post-war government they had sold their horse to. The story doesn’t stop there. There were other animals such as camels, donkeys, even elephants that were used for war fighting purposes and died in WW1 according to Jill Mather. She says mules delivered medical supplies, and carried gun parts “staggering on until they dropped dead and nobody cared”. It is why she writes books about the cost to animals in conflicts, and why it has become her life’s passion.